Classic Tayra Adoption Celebrity Adopt a Tayra! The Toucan Rescue Ranch has rescued various weasels. Major reasons for its rescue is due to hunting, habitat loss, people poisoning them, and the illegal pet trade. By symbolically adopting the Tayra you will be directly helping with the species ongoing food and care. 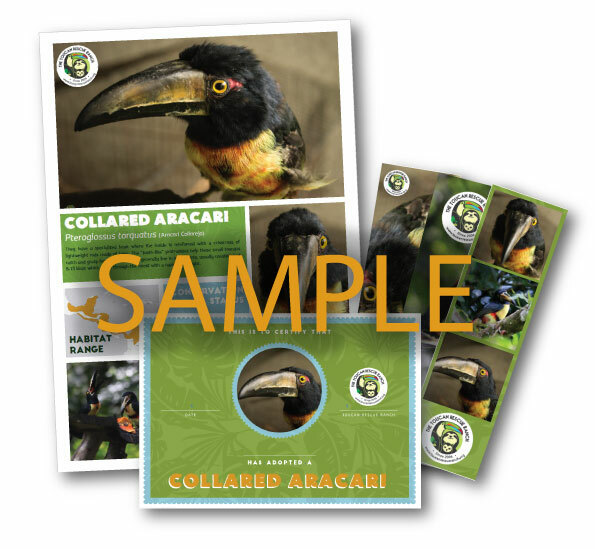 With your donation, you will receive an ADOPTION CERTIFICATE and thank you email with your tax-deductible information. The Classic Adoption pays for your adopted species costs for roughly 3-months! The Tayra have a unique adaption with short and curved claws that are strong for climbing and running rather than digging. They are considered expert climbers. Tayras have pads on their feet that are hairless that are surrounded by stiff sensory hairs. The Tarya is omnivorous meaning they eat fruits, carrion, small vertebrates, insects, and honey.